What’s your favorite city? Mine is Rome. I love its centuries old ruins that are beautifully preserved. I love walking on its cobblestoned streets. I love window shopping in its world renown fashionable Via Condotti. And of course, I so love the food. 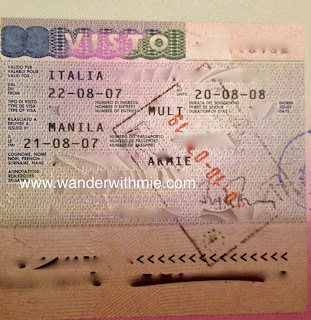 Rome is a big city full of attractions but if you have a limited time ….if you only have one day then this is for you. Let’s say your arrival time is at 6:00AM and departs later than 7:00 PM. From the Fumicino airport board the Leonardo Express train for 30minutes you will arrive Roma Termini, this is the city’s main transport hub. Go down and find the pay bathroom to freshen up. Prepare 1euro to enter or there’s a coin changer just before the turnstile. Grab some bite for breakfast at the many coffee shop or restaurants after. Buy your biglietto or train and bus ticket at the newspaper stands or tabacchi. I advise you to buy the ROMA 24H or one day ticket. For 7 euro you can ride the metro, tram and all bus lines as many times as you want within 24 hours from the stamped time. Now that you’re ready to explore you may head first to the Fontana di Trevi. Don’t forget to throw a coin. They say that if you will throw a coin you will surely comeback to Rome. Go back to Via del Corso and find your way to the Pantheon. Piazza Navona is just around the corner. From here trace your steps back to Via del Corso and continue walking until Via Condotti. Thread the famous shopping street until you reach Piazza Spagna. Go to the Metro Spagna station take the train Battistini direction and alight at the Ottaviano| Vatican station. IF you happen to be in Rome on a Sunday time your visit to the Vatican before 12 noon for the Angelus presided by the Pope. Take your lunch before or after you will enter St. Peter’s Basilica. On some days there is a very long line at the entrance checkpoint but it moves fast. After taking some rest go to the nearby Castel Sant’angelo and admire its magnificient architectural design. Climb up its spiral stairs all the way to the terrace for an obstructed panoramic view of the Vatican City. Across the street is the bus stop for Roma Termini. Take Line 40 or 64 and get off at Piazza Venezia. The massive white building is the Altare della Patria. Beside it is the hard to miss the Basilica di Santa Maria in Aracoeli because of its steep flight of stairs. Next to it is another set of stairs that leads to the CAmpidoglio, Rome’s municipal hall or city hall. Papal Swiss guards are tasked to oversee security of the Apostolic Palace and of course the safety of the Pope. Tip: take the stairs to Campodiglio at the back of the building is a view deck to the awesome Roman Forum. Then follow the path all the way to the Via Dei Fori Imperiali . From here you can already have a glimpse of the Colosseum or Colosseo in Italian. Please Note that if you want to visit Vatican Museums allot at least half a day. 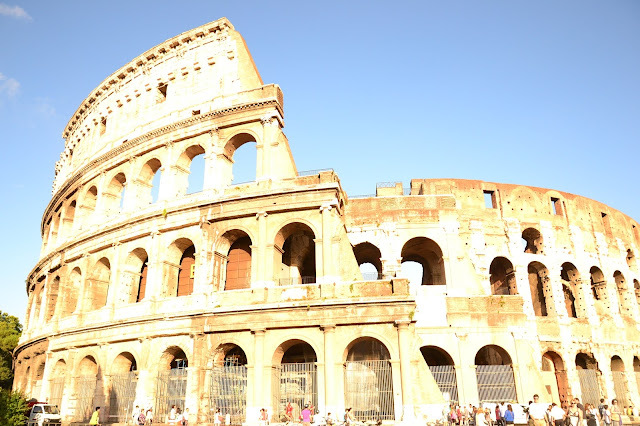 This itinerary does not also include a tour inside the Colosseo and the Hills.